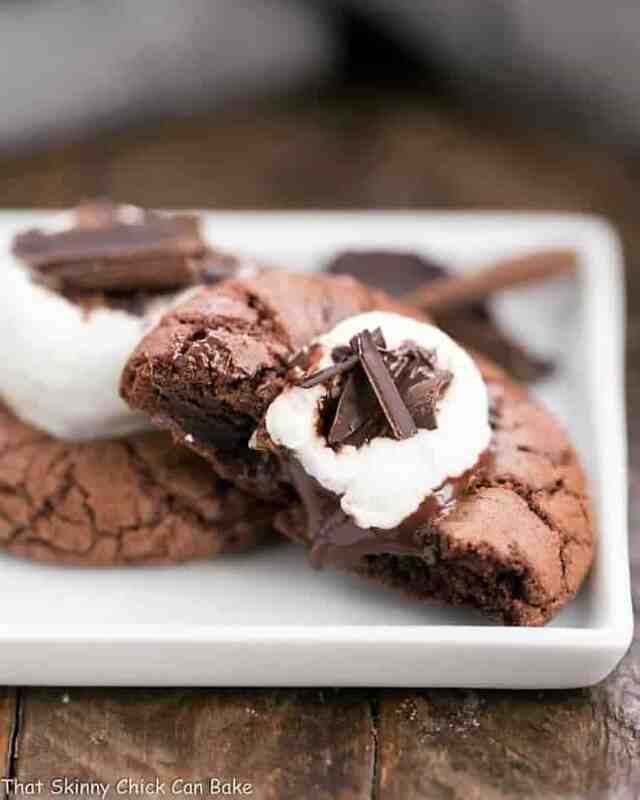 Hot cocoa cookies are undeniably rich chocolate cookies topped with marshmallows and shaved chocolate. This is easily one of the best cookie exchange recipes for the holidays! I baked up a batch of these decadent Marshmallow Topped Hot Chocolate Cookies for our annual neighborhood cookie exchange! After years and years of cookie exchanges, I’ve shared all my tried and true cookies and more! But then I ran across a Rachael Ray recipe that sounded perfect for our annual holiday event. 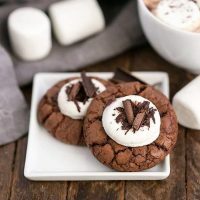 These incredibly rich, marshmallow topped hot cocoa cookies quickly became a family favorite and I had to make a second batch to have enough for my friends! 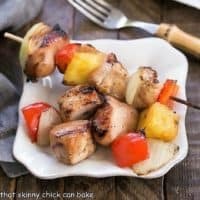 These got rave reviews across the boards (I had to give out the recipe before I got a chance to blog about these gems!). Decide on the date and time for your party. Whether you meet mid-morning, over lunch or in the evening will determine the menu for the event. We meet for coffee, exchange cookies, then go out to lunch as a group. Well in advance, send out festive invitations. Determine the number of cookies each guest must bring. For our small neighborhood party, we each bring 3 dozen, enough for us all to take 3 of each cookie variety since there are 12 in attendance. For larger groups, I’ve had to bake 5 dozen cookies. Some guides recommend baking one dozen cookies for each guest, but that sounds daunting! Decide whether the cookies must be homemade or if store bought is OK. Also determine whether fudge, candies or other holiday treats are allowed. Make all these details clear on the invitation. Ask your guests to bring an empty container to use to collect the cookies. Or provide boxes and tissue purchased from your local bakery. Make sure to instruct your guests on how many of each cookie to take. Have plenty of space and extra platters to display all the cookies. Put on some holiday tunes, have beverages and snacks available, and most of all, have fun! OXO peeler (I used this to grate chocolate and make a few small curls from a slightly warmed bar of chocolate). 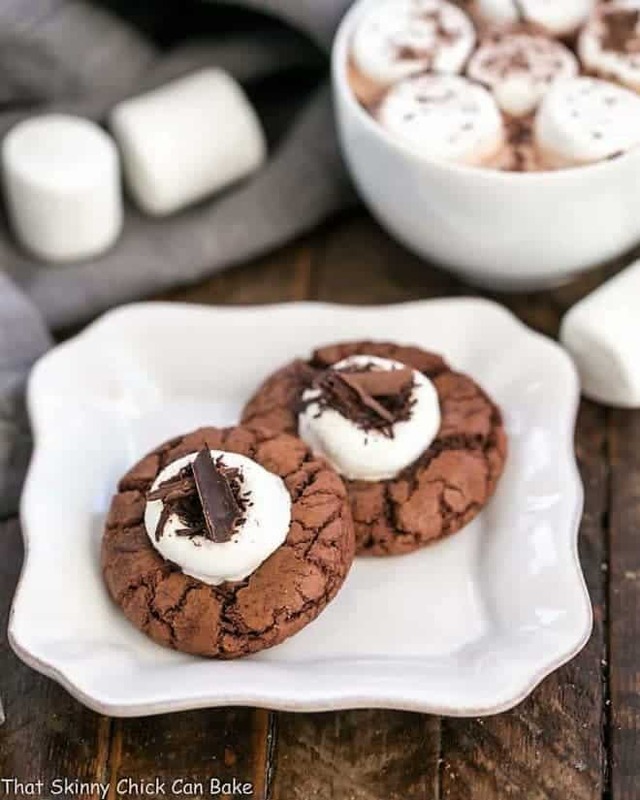 Flavored with chocolate and topped with a fluffy marshmallow, these hot cocoa cookies are irresistible! Place the butter and chopped chocolate in a heat safe bowl, and microwave at 30 second intervals, stirring frequently until chocolate is melted and mixture is smooth. Let cool for 15 minutes. Beat the sugar, eggs and vanilla on low speed until smooth. Mix in the cooled chocolate mixture just until blended. Add the flour mixture in 2 batches, mixing until just combined. Cover and refrigerate the dough for at least 1 hour. If you chill overnight, you will need to let the dough warm up a bit at room temperature before shaping. Preheat the oven to 325 degrees. Line 2 baking sheets with parchment. Scoop tablespoons of dough and roll into balls. Place 2-3 inches apart. Bake until the tops of the cookies crack, about 10 to 12 minutes. While cookies are baking, cut the marshmallows in half and place a square of chocolate on the cut side of each marshmallow. Set aside. Remove the cookie sheets from the oven; gently press a marshmallow half, chocolate side down, into each cookie. Bake until the marshmallows start to soften, about 4 minutes. Remove from oven and let cool for about 5 minutes. Garnish tops with grated chocolate or sprinkles, then transfer to cooling racks. Repeat, using fresh parchment with each batch to prevent sticking. These cookies look so tempting and decadent with chocolate marshmallow topping! I dont believe there is a better cookie to make with my grandson than these for Santa … hot cocoa wow love this idea! Love these Liz! Lucky the one who got them in the exchange! Oh now these cookies are a must make this year! 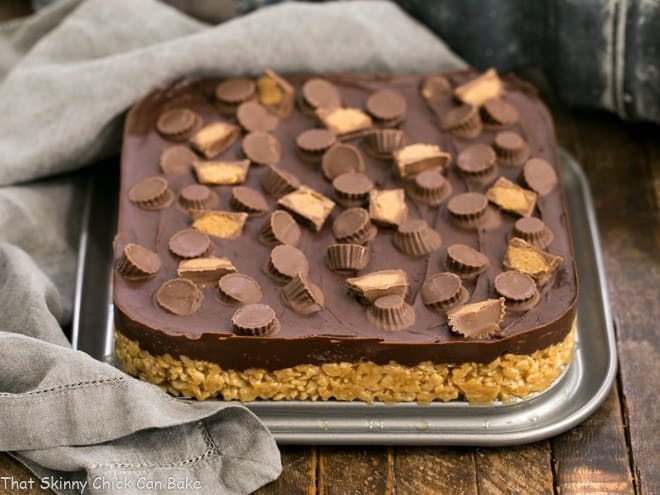 Love the topping and the texture looks terrific. Pinning and drooling! looks beautiful dear Lizzy ! These are just fantastic!! Pinned and now hungry!!! These look so good, and I’m not even usually a chocolate cookie fan! Love the little marshmallows on top! Those little chocolate curls! I’m swooning, Liz! Oh my gosh, you completely nailed this theme! What a show stopper cookie this is, and the name is perfect. Saving to make these this year! These cookies look ah-mazing! And your cookie parties sound like so much fun. What a great way to spend an afternoon. These cookies look amazing and I love the marshmallow on top! These cookies look perfect! I love a good cup of hot cocoa during the holidays, but haven’t thought of making them into cookies. Genius! This looks like a great recipe. I think my son will love it. 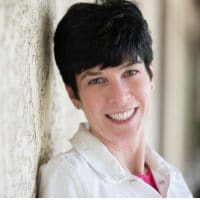 Are you sure you got your calories right? I don’t think that is a 900 calorie cookie. Haha, the recipe app figures it out. Let me check! I made these cookies for a Christmas brunch and they were a huge hit. My son loves them as expected. 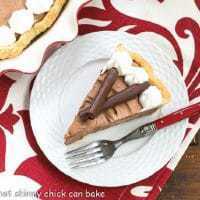 I think I will be making these again and sharing the recipe. Happy New Year! These cookies look and sound amazing! All your cookie recipes are wonderful! I made your Old Fashioned Amish Cookies this week and they are simply delicious. Will have to give these a try too! 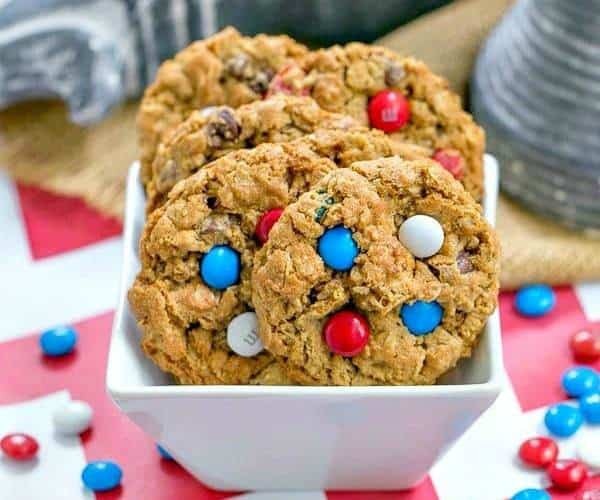 Wow, I decided to wait until Monday to stop by this post… I knew I’d be spending some time looking at all of the cookie recipes:@) Your cookies look great and I’ll bet the exchange is a blast! 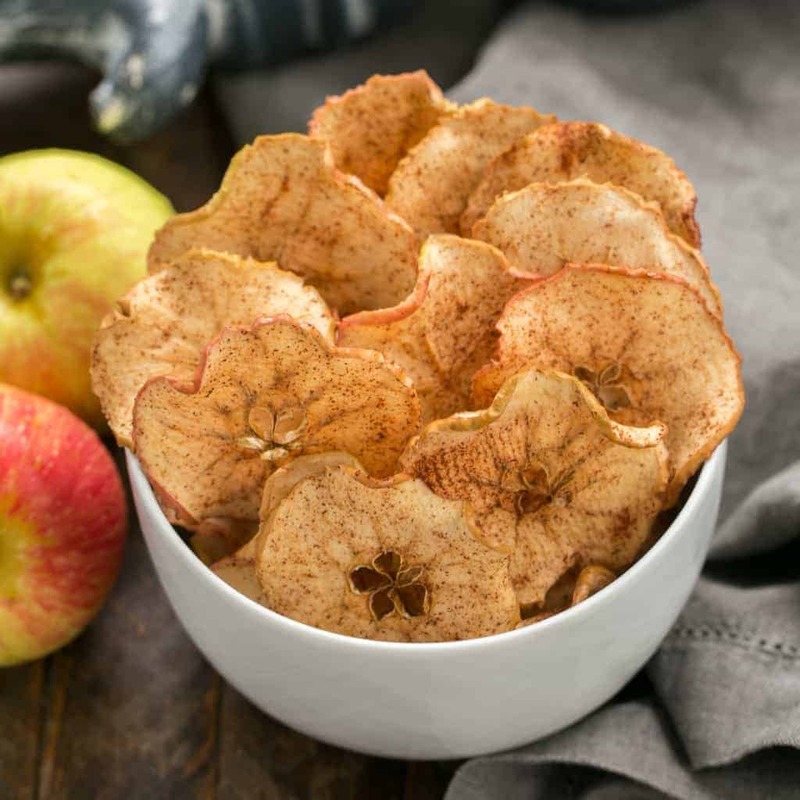 I know that my kids would just gobble these right up! I think the teenagers that hang around this house will love these! Fun cookie! I love how rich and decadent these cookies look – absolute perfection! What a cute idea! The kids would love these! 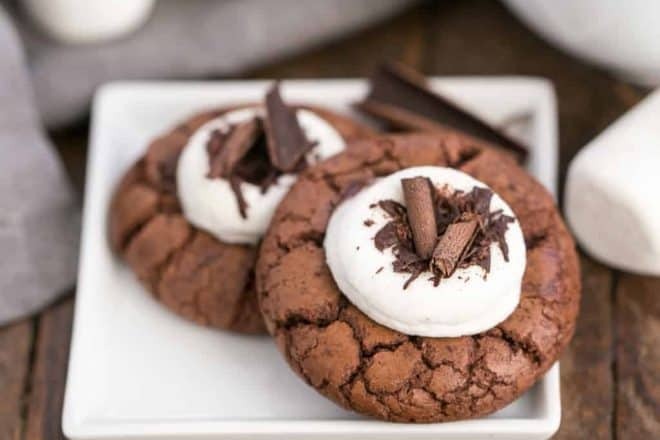 These hot cocoa cookies look beyond yummy!! I love that marshmallow topping! Great texture and I bet these were the first to go! Wow they look fantastic, I love this idea! My boyfriend would go nuts for these cookies too! LIZ. THAT SHOT WITH THE MELTY CHOCOLATE CENTERS !!! I’m dead. These cookies are perfection. These cookies are so perfect for a cookie exchange! 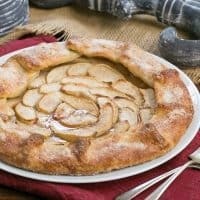 I love finding a unique recipe like this that everyone wants to take home! These are amazing!! Such a fun and festive cookie to make over the holidays! 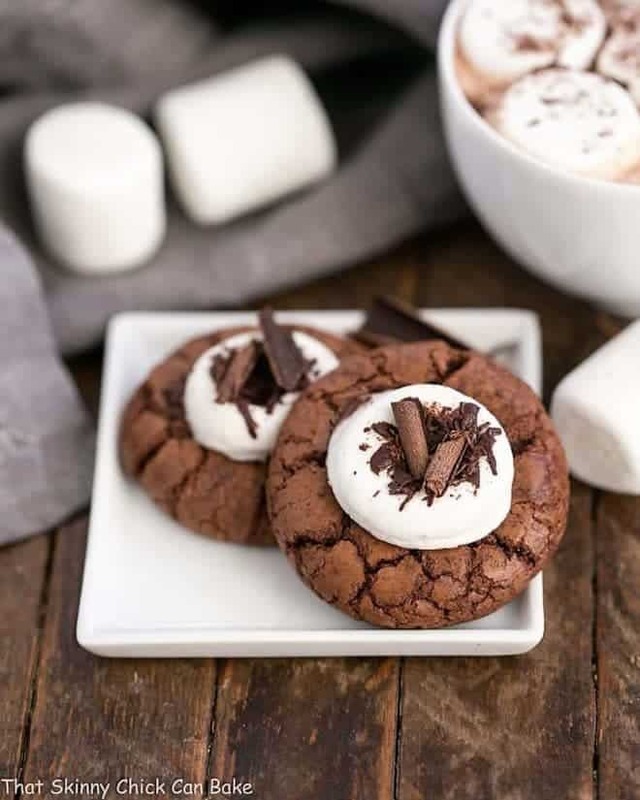 Hot cocoa cookies! 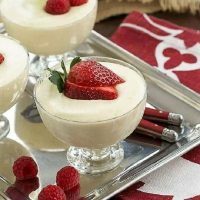 I think these will become my favorite dessert 🙂 Thanks for posting! I’m crazy in love with this mallow topped cookies! They’re so pretty and fun! These are so delicious! I am a huge chocolate lover and these are on the top of my list! I hope you don’t think I am crazy but I already started my Christmas baking! These are always first on my list! Kiana made these last night and they were absolute perfection. We all loved them!